Thoughts on Valentine’s Day? Love it, hate it, care less? I think it’s a fun excuse to wear something saucy, eat excessive amounts of chocolate, go on a date with the husband and get some V-Day themed treats...like all things rose. I’m not talking about the standard bouquet of flowers, you guys. Let’s be a bit more creative here. If you haven’t gotten into rose products yet, today’s the day to jump on board. 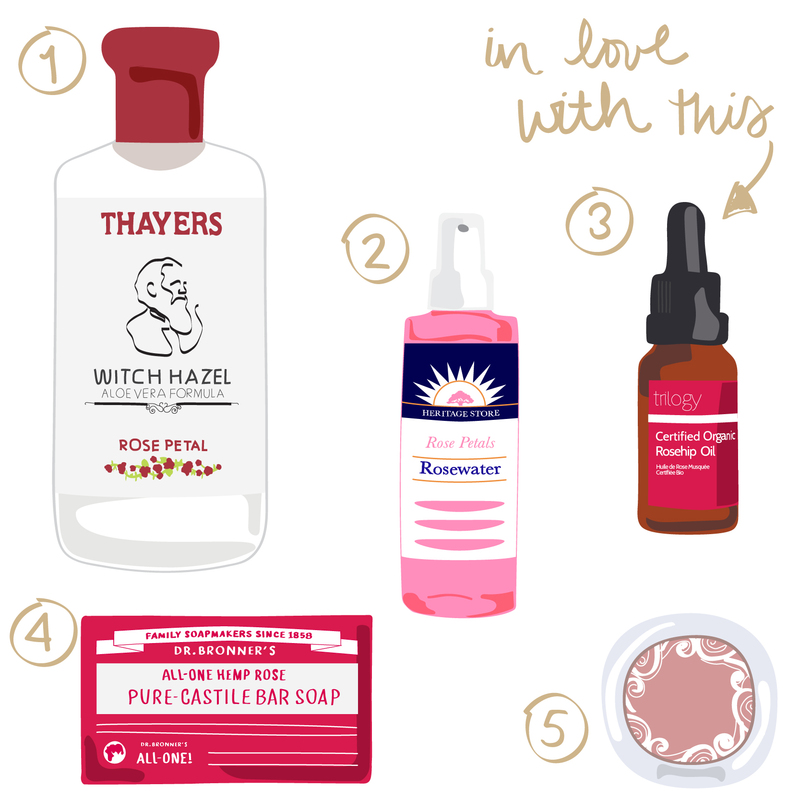 Rosehip oil, rosewater and actual petals are not only super indulgent, but host a ton of beautifying benefits. Win, win. Oh also, all of these items can be found at Whole Foods if you’re looking for a last-minute gift for your boo, BFF or yourself.